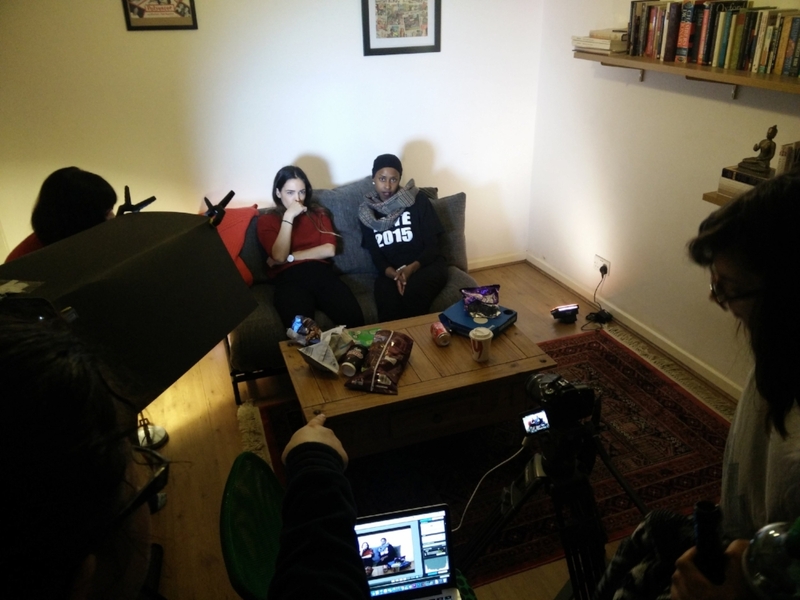 Earlier this year, we tried out something new - making a short film with our members! The idea was to give new filmmakers the opportunity to learn/share skills, gain credits and meet new people. First, we asked screenwriters to submit one-minute scripts. Out of all of those submissions, we chose our Top 5. 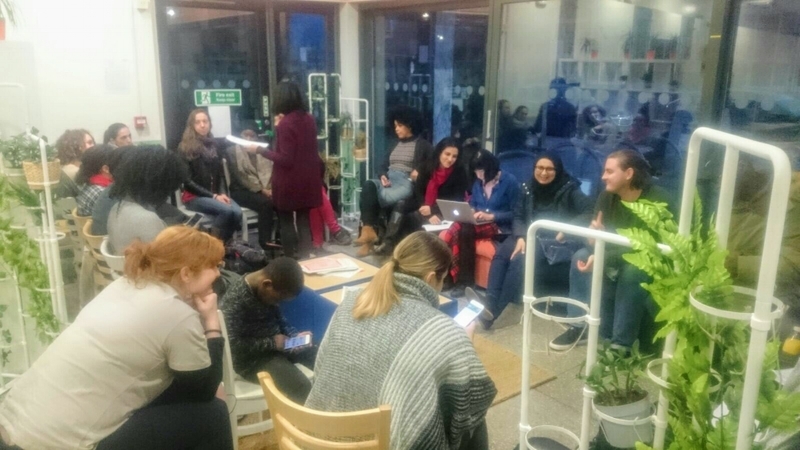 Then we held a meetup for people interested in making a short film with us. Sixteen guests turned up! In that meeting, we read those five scripts and we each voted for our favourite. The most voted one was... 'Zombieland (Kind Of)' - a short film written by Ilena Ilardo about two friends discussing zombie movies. Then we assigned a role for everyone after we took on board what each of them was interested in. The script originally had male characters but we changed it to female characters (it worked on this occasion as it was non-gender specific). The crew was made up of people from all walks of life - some were completely new to filmmaking, others had some experience. One member was a deaf woman and we provided a British Sign Language interpreter for her. Now, let's meet the cast and crew. Before the shooting day, some of the crew met up a handful of times. Sometimes these meetings were arranged at the last-minute so we weren't always able to provide a BSL interpreter at such short notice but... that didn't stop them! The team used papers, pens and gestures to communicate with Sahera. These pre-production meetings involved making some script changes, rehearsing and of course, planning for the big day. We also voted on a new name for the film to avoid copyright issues. We're now Humanz! Our main platform for communication wasn't email... or WhatsApp... or Facebook... it was Slack! A big thumbs up to them. Let's fast-forward to... Sunday 12th March, the day of the shoot. 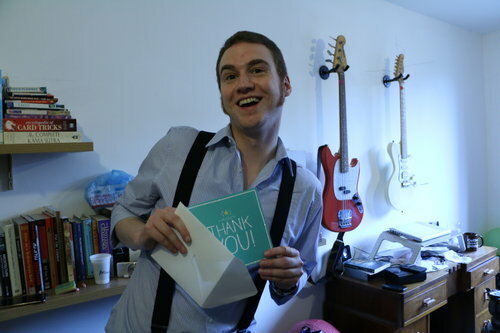 James had kindly offered his living room for us to film in (we thanked him later, look!). Our shoot was from 10am to 4pm, the crew arrived all ready to make the film - check out the photos below. It was then time to pass it on to the post-production team who had about three weeks to edit it - it needed to be ready for our London Filmmakers Showcase on the 8th of April. Humanz was one of the nine films we screened and we also had a short Q&A with some of the crew. What a great couple of months it's been - new skills, new experiences and new friendships. We've now come to the end of the project but this isn't the end of the group! The team have some exciting plans coming up and will continue working together. And we're always here to support them! "Playing a role in bringing a film together. The hard of hearing/BSL is a good USP." "To learn more about film. 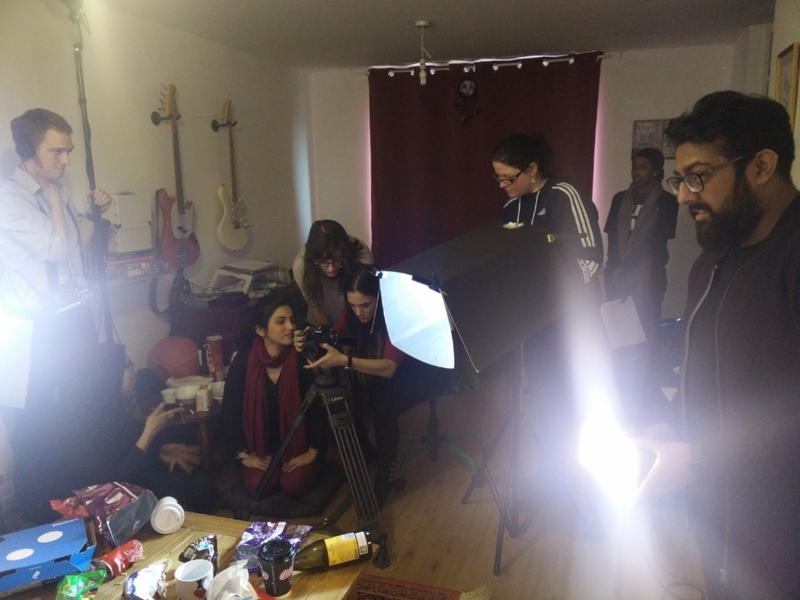 This group has enabled a practical way of learning more about film." "That it was a mixed group of people in terms of background and skills. I also saw how important it is to make public film screenings accessible to deaf/hard of hearing people! As a new filmmaker, it has prompted me to have subtitles for anything I make in the future." Well, that's it from us, if you'd like to stay updated with this film, follow the Facebook page or check out the blog. UPDATE: Humanz was screened at the BBC Arts Festival in March 2018!